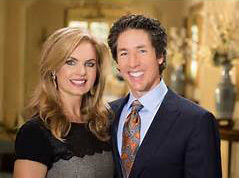 The headline question is answered by Dr. Michael L. Brown who seems to have been appointed as the spiritual authority for Joel and Victoria Osteen. Congratulations! While Brown does not out and out call Joel and Victoria 'heretics,' he sneakily and effectively does so by using the age-old trick of employing others to do it for him, or to make others THINK others are saying this so that he will look like a nice guy with concern. Again, this is all contained in what he purports to be a, "personal" letter, to the Osteen's, yet he published it in Charisma for all to see. How's that again? How can a personal letter also be a public letter? So Brown, who purports to be bringing truth to Joel and Victoria, appears to be lacking in the very virtue he is proclaiming. No surprise here. See if you recognize Brown's scheme of getting that negative image of Joel and Victoria across as quoted in Charisma: "Some Christians have referred to you and Victoria as outright heretics, others have said that you are fighting against the Holy Spirit (since the Spirit convicts the world of sin but your preaching does not), others have said that you are a pagan religionist, while others have said that your superficial message of material prosperity cannot bear the weight of the gospel." Then Brown reveals more than he intended with this flying arrow: "It would be far better for you to see your TV ratings fall and your crowds dwindle than to displease the Lord." And this, dear readers, explains what is behind Brown's indignation; the TV ratings and big crowds flocking to hear Joel's messages, something that Brown does not have, which has seemingly produced in him apparent JEALOUSY, which Is too prevalent among ministers. Even so, Brown declares in his own words that yes, he has jealousy..."jealousy for the Name of Jesus, jealous for your massive audience, and jealous for both of you." Yep, it is his agonizing concern that has set him off. RESIDUE OF A BULL! HOWEVER, there appears to be a typo: That word maybe should not be "FOR" i.e. 'jealous for...' but perhaps that word should more accurately be, "OF," i.e. "Jealous OF your massive audience," etc. That would make more sense. 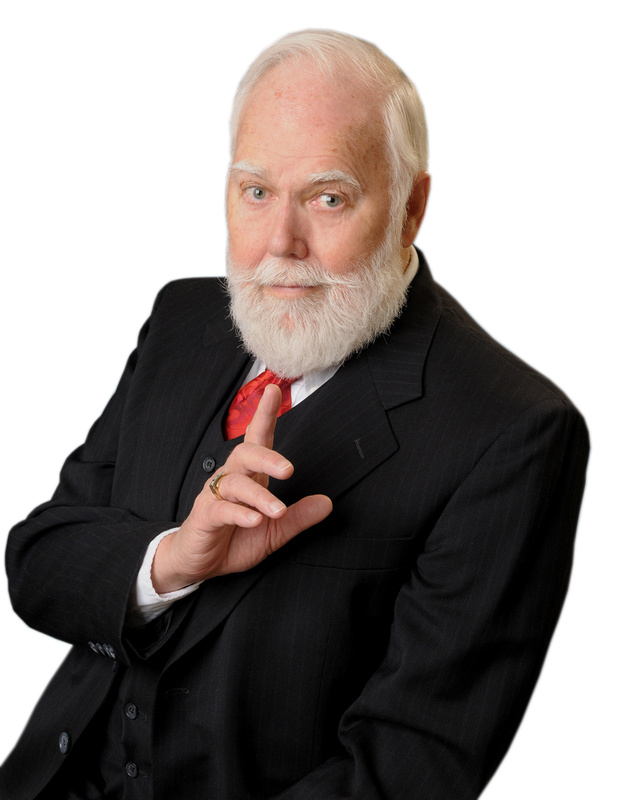 Joel is not a televangelist. He is a gifted minister. He was not, nor is, seeking fame. He reluctantly took over the ministry when his father died. In all the years I've watched him he has never been seen or heard to ask for money like televangelists, to splurge on himself, even though Brown insinuates that very thing. Joel preaches the Gospel, expounding scriptures of both the Old and New Testaments. Unlike Brown's accusation, he does deal with sin, things displeasing to God, but he is not a pound and shout preacher. There are preachers for those who want a minister to preach them into hell each week. Ministers are not meant to be all alike. As a chaplain I deal with many, many people who have testified how Joel was the reason they turned their lives around. And he does not conclude one service without an invitation to accept Jesus. Brown criticizes Joel for not confronting his congregations about the sin in their lives and how they must repent. He should be more than just a nice guy Brown proclaims. YET, in Brown's book titled, Can You Be Gay and Christian, his message is to show extreme love to all LGBTs encountered, indeed protective of them, and essentially to be a nice guy. I could not find one instance in Brown's book that confronts homosexuals with the sin issue from which they must repent. Here we go again. It is now time for Brown to be confronted about his own sins,that are, in my opinion, jealousy, envy, pride, and covetousness (see Romans 1:29). Go through the Bible and see the many times these issues are condemned. Even though Brown has many high lever credentials, he still is not content since he is not receiving the high acclaim he sees in others like Joel, who, unlike Brown, has never sought it. Brown is not the only high credentialed Christian who is not satisfied with his calling. Christianity Today has "distinguished" writers who regularly trash ministers who are recognized by God and the public, including this one. Joel has a folksy style of ministry which reaches and appeals to multitudes with encouragement in the midst of a world gone mad. Not one of his preacher creature critics could ever fill that Houston Arena every single week consistently. I can't think of any of them that could even obtain and then remodel such a huge arena. Indeed, he fills every facility he appears in. And by the way, Joel is humble, which is a scarce commodity among preachers. He reaches audiences that nobody else can reach. This is why there are so many different ministers with different styles. If someone wants a pound and shout minister who will preach them into hell every week, they can be found. We are not supposed to all be alike. God did not intend for all of us to be the same, talk the same, look the same or preach with the same style, otherwise society as a whole could never be reached. Years ago, while traveling on a Sunday in the southern U.S., I tuned in to hear a preacher. I was certain I was listening to Kenneth Copeland. It was not Copeland, but a young new preacher who was so enamored by him that he sounded exactly like him with voice tone and inflection. Kenneth Copeland had already been created by God. We didn't need another one. The imposter never advanced simply because he did not fulfill the ministry God had called him to. Every individual minister, with their own distinct personality and delivery, is needed to reach those that other preachers cannot reach. They should be happy with the ministry God has entrusted into their hands, not be envious of the success of other Christian workers. Christians are the worst in cutting good people down. Mahatma Gandhi said he would have become a Christian had it not been for observing the conduct of Christians. It's too bad that there are those counterfeits that seem to think that the gift of tongues is for gossip, to lie and tear down others. They will all receive their judgment which will be hell. I can imagine that the worst punishment for a tale bearer gossip in hell is to suddenly be given sensational inside info on somebody famous, but there is nobody around to tell it to. Yep, that would be real hell for those who regularly wag their slippery, slithering slashing tongues to bring harm to others. Misuse of the tongue is such a vile sin in the eyes of God that an entire chapter of The Bible is devoted to it. Perhaps a reading of James 3 would be profitable. Oh yes, and by what authority has Brown been appointed as spiritual advisor to Joel and Victoria? We do not believe it was by God's authority, certainly not by Joel and Victoria's, but a self appointed presumption in order to discredit a ministry pair who have blessed countless people in the name of Jesus. Pity.